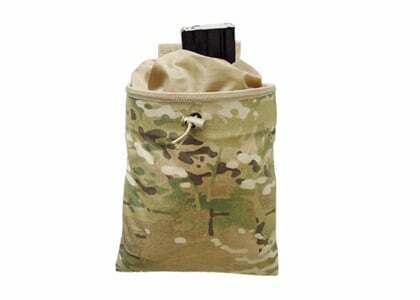 The Condor Outdoor Belt Mounted Magazine Recovery Pouch, also referred to as a "Dump Pouch", or Magazine Recovery Pouch, allows you to retain your rifle, carbine, SMG or pistol magazines following a reload rather than leaving them behind, on the ground. 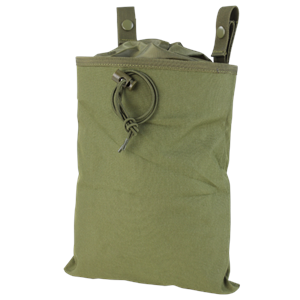 This pouch attaches to a belt or vest and rolls up out of the way when not in use. It also features a draw cord at the top of the lining to help retain spent magazines while on the go. 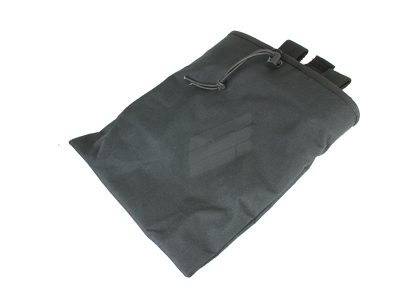 Double layered 600D Nylon with 420D Nylon packcloth closure. 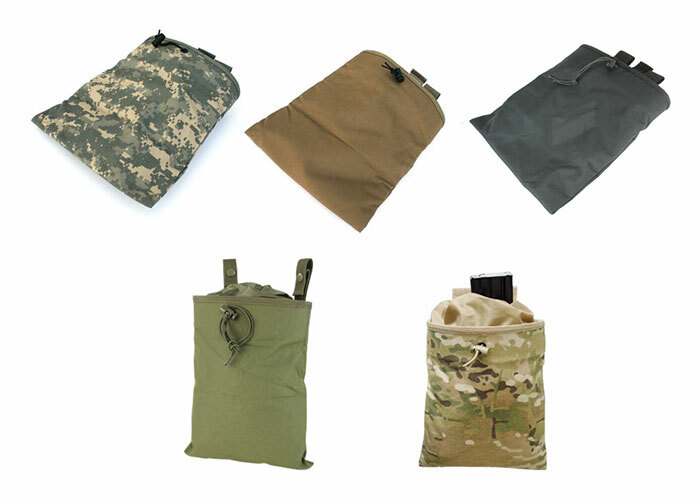 Pouch rolls up and is held closed with 1 1/2" x 2 1/2" Velcro Tab. Measures 4" x 10" when folded. My first dump pouch I've ever bought so I didn't want to spend to much money. So I bought this one, and let me tell you, it was an amazing purchase! I expected cheap quality and heaviness, but it's very good quality for the price! I'd buy another in a heart beat if I had too. Really nice material, felt like high quality canvas. Color matched my coyote tan plate carrier perfectly. Attachment straps and snaps-on were high quality and I was confident they would not unsnap themselves. Adjustable flexible band at the mouth meant I could easily force it open with my hand to drop in a mag, but It would spring back shut to prevent them from falling out. Secure attachment straps and snap-ons. Adjustable band at the mouth of the pouch was easy to open, yet secured the contents very well. None that I can think of. It worked exactly as I had hoped it would.